So, what does it take for success within our Affiliate program? It takes knowing your audience, and it takes creating riveting content–something that intrigues them, or enamors them. Your blog doesn’t have to have thousands of readers to turn sales. Even a small number of dedicated readers can make a difference. You, having already created a blog, with a developed sense of who your readers are, can probably start cruising our site and finding items they might like, and/or items that you can work into posts easily and successfully. For Example, Sally has a pretty killer blog called Sally’s Cloud Chaser and it has to do with weather travel all over the world. She takes really awesome photos of clouds and posts them along with how her trip was. You might think that this would be hard to integrate cards or planners into, but you’d be wrong. All Sally would have to do is think about how our products relate to her, even if she doesn’t use them. She had the bright idea that she takes notes during all these trips in a journal. 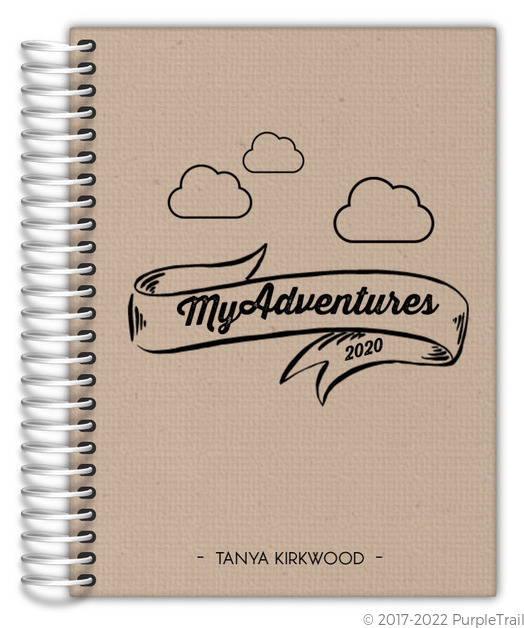 Well, on our site, we have travel journals, and she thought this one matched her theme, and her readers quite well. Now Sally has a product to promote! How to bring it up is another question. But Sally had a great idea. All she really had to do was write out a sentence that mentioned her trusty journal, and hyperlink the word journal back to us. Now Sally has found something to promote, and created some content surrounding it. If you’ve embedded your affiliate links like I did above, you’ll get credit for each and every sale that comes of those clicks, be it on our website or application.